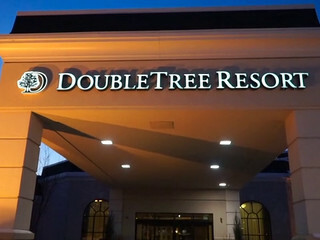 DoubleTree Resort by Hilton, Lancaster, is an upscale wedding venue located in Lancaster, Pennsylvania. 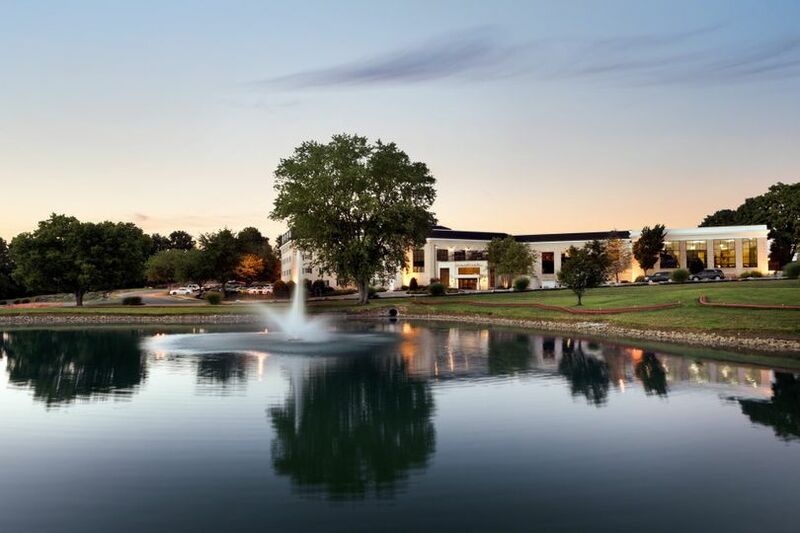 Weddings at this resort are “simply amazing.” At DoubleTree Resort by Hilton, Lancaster, the professional wedding specialists will help you create the wedding day you have always dreamed of with their impeccable service and attention to detail. 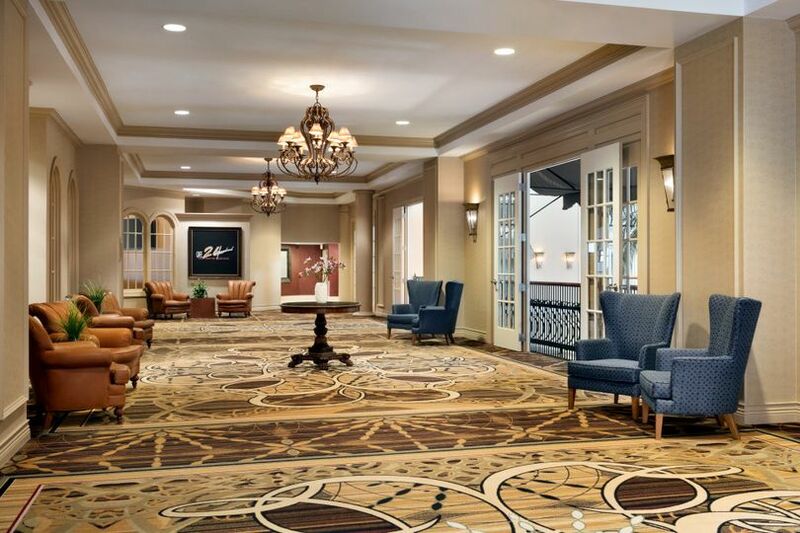 DoubleTree Resort by Hilton, Lancaster, can accommodate up to 300 wedding guests in its elegant indoor and outdoor event spaces. 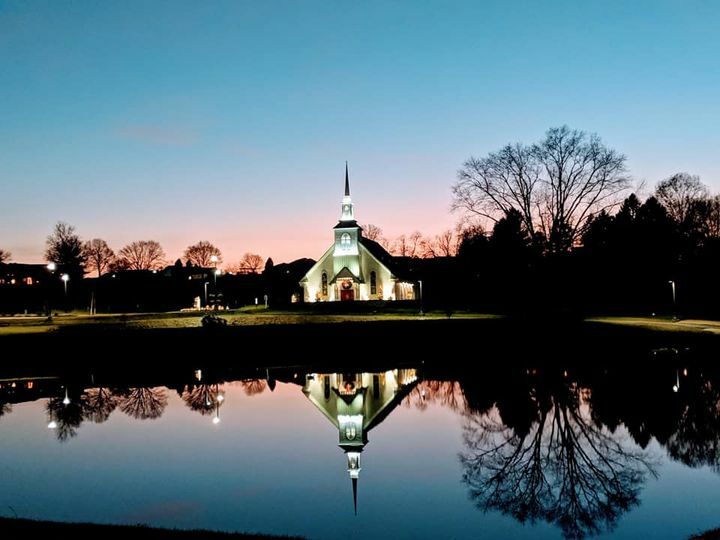 On the property sits a charming, on-site wedding chapel. 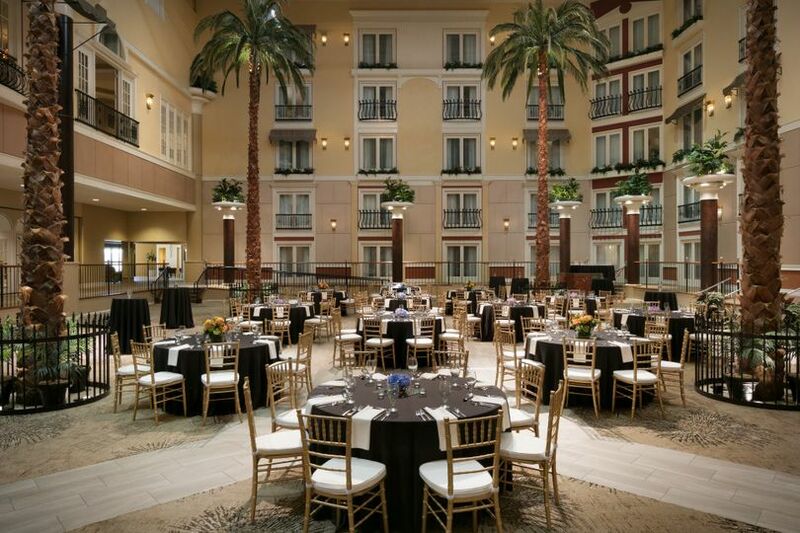 Receptions may be held in the venue’s spacious Palm Court. 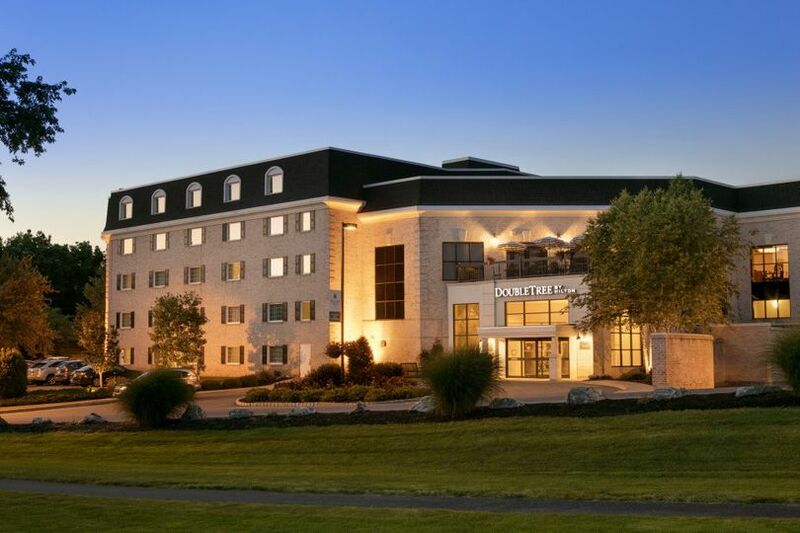 DoubleTree Resort by Hilton, Lancaster, is a full-service wedding venue that is available for hosting bridal showers, engagement parties, wedding ceremonies and receptions. 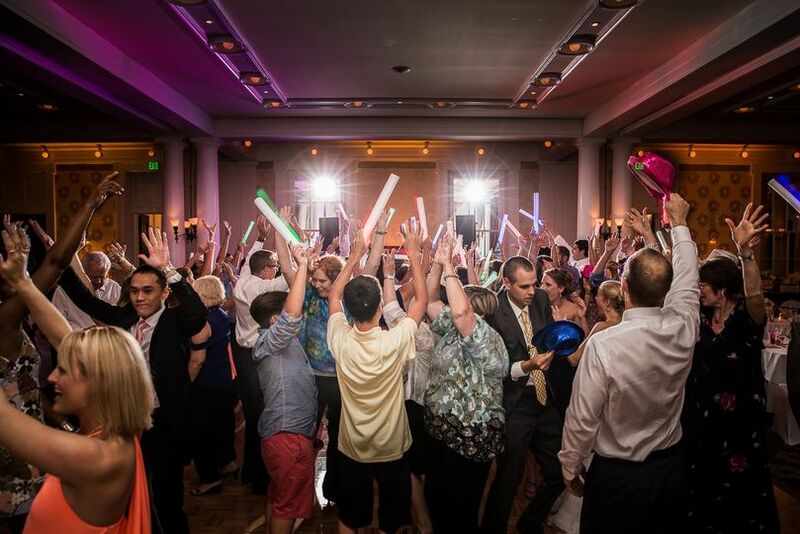 On your wedding day, the venue will provide audio equipment, tables and chairs. 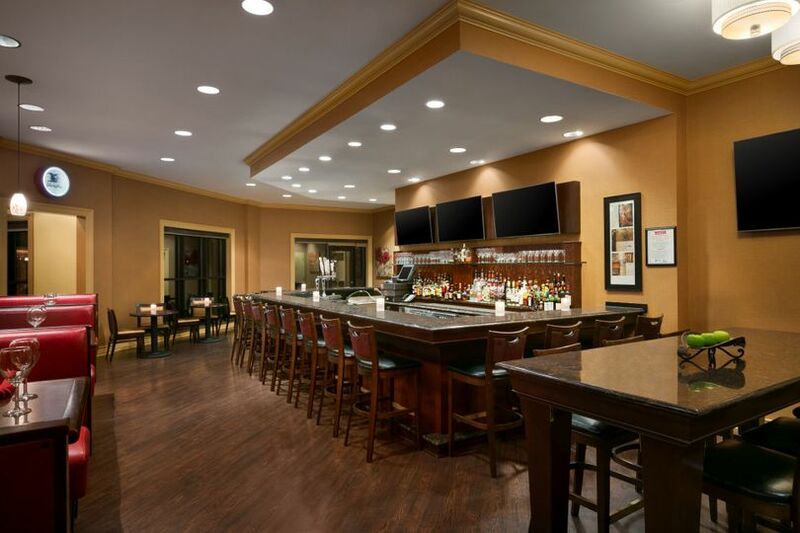 The resort also offers couples hotel accommodations, event planning services, event rentals and in-house catering. 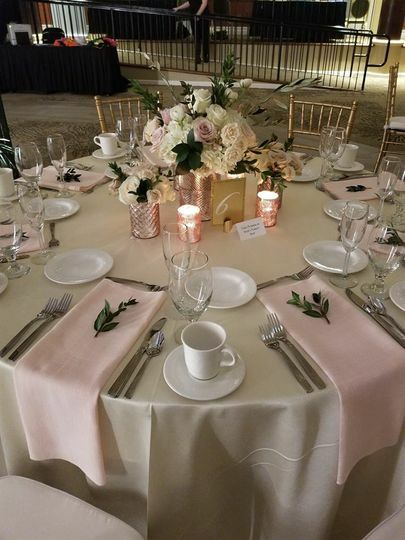 Our daughter was married in the chapel and we hosted a lovely wedding reception in Palm Court a few weeks ago. 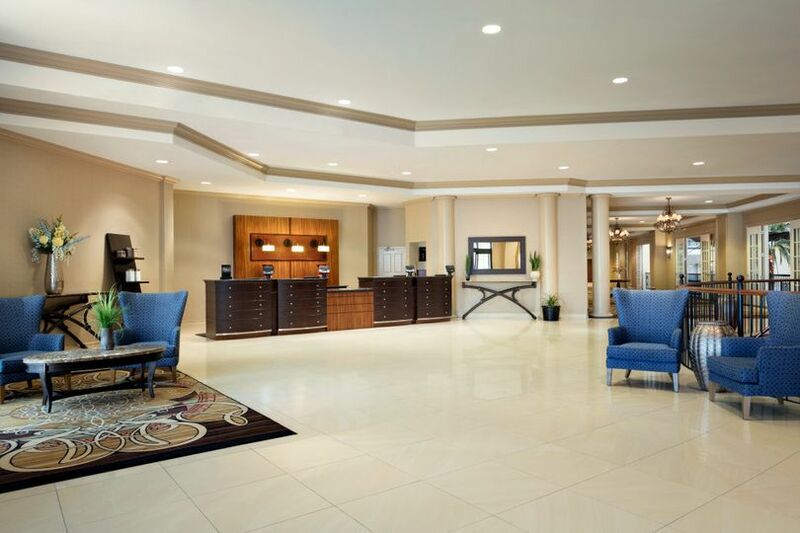 Our experience with DoubleTree Lancaster was nothing but positive. Eric, the DoubleTree coordinator, was great to work with. He was always responsive and eager to help. The food was wonderful and presented beautifully. 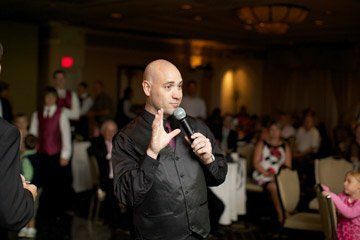 The entire staff was exceptional during our rehearsal, the wedding and reception, and during our stay overnight. The buffet breakfast in the restaurant was wonderful as well. Our room was clean, spacious, and comfortable. Our guests loved the venue! 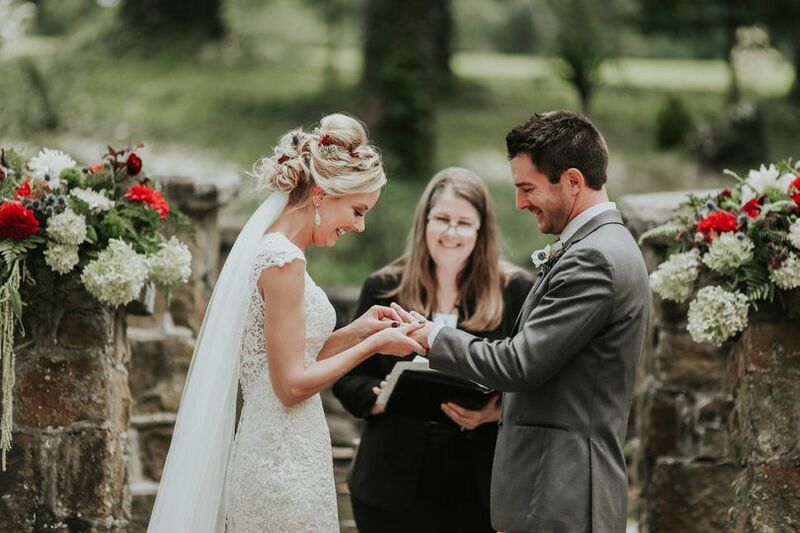 We had many guests visiting from outside the area and they loved that they could attend the ceremony, take a short walk to the reception, and sleep in the same place. Quite a convenience! They thought Palm Court was a beautiful place for a wedding reception. One guest even commented that she felt like she was attending a celebrity wedding. We just received our photos and they couldn't be any more perfect! The chapel and willow tree grounds are perfect settings for photos as well as Palm Court. Thanks to all at DoubleTree Lancaster. We had a wonderful experience. Exceeding expectations from day one! We're having our wedding at Doubletree next May and we're beyond pleased with how wonderful the entire process is going. 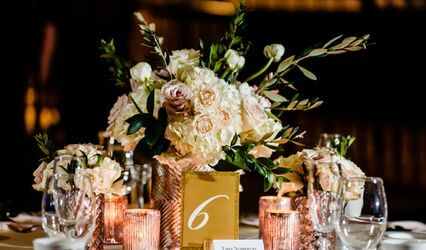 Christina Hamberger is our wedding coordinator which is who I've been talking to since I first reached out to them. She was so patient and understanding throughout the whole booking process and took the time to make sure all of my questions were answered before making a decision. We're having our ceremony in their absolutely perfect intimate Chapel and our reception in a large white tent outside right beside the chapel with the view of the pond in front. Gorgeous venue, great staff, couldn't be happier! My husband and I were married on 08/01/2015 at the DoubleTree at Willow Valley. The day that we went to look at the venue, I knew I had to get married there! 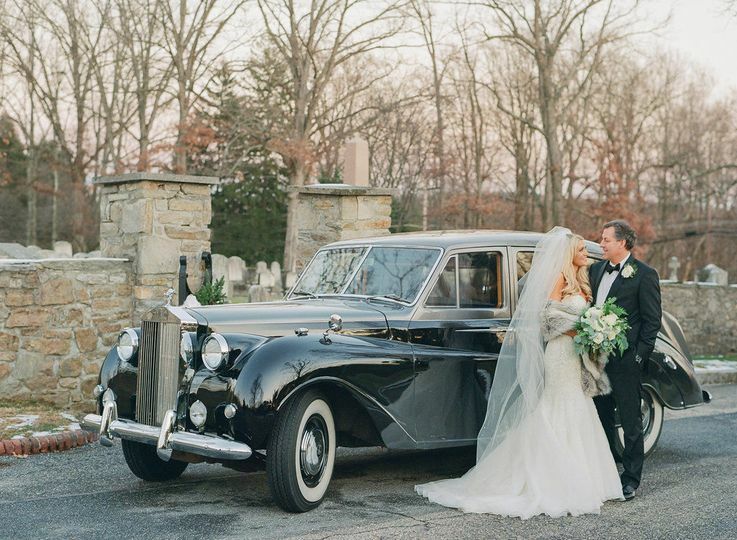 We were beyond pleased with Victoria and Eric's attentiveness throughout the entire process. They were very accommodating and flexible. The night of the wedding, I did not have to worry about any of this logistics, everything was taken care of by them! It was so nice to just relax and enjoy the company of family and friends. I would highly recommend this venue for both the ceremony and reception. Many of my friends and family complimented on how beautiful the landscaping was along with the Chapel and Palm Court. Mention you saw us on Wedding Wire and receive FREE butlered champagne for your reception! Contact us today for details 800-369-9877! We absolutely LOVE this venue. Not only do they have everything you could ask for but the property itself is absolutely imacculate! Serene, peaceful, beautiful year &apos;round and to top it all off, working with Kris Becker has always been a top notch experience. She is kind, loving and truly cares about each individual couple that walks through her door. She is hands down the ONLY venue owner we have ever worked with where we saw so much heart go into her clients and their guests. You simply can&apos;t go wrong with having her in her corner! Now....let&apos;s talk about the food!! My lord! I could eat until I exploded. You can&apos;t put your fork down with the amazing options they have! Beautiful presentation and even more of a mouthwatering experience with every bite! 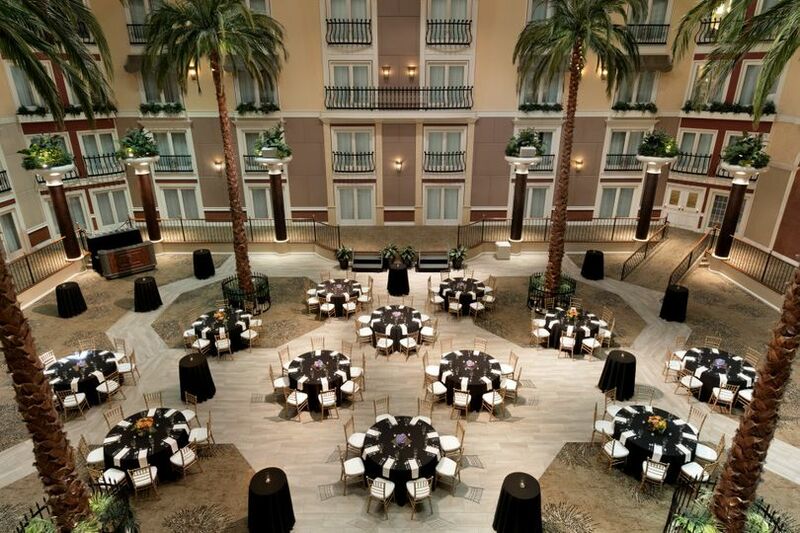 The DoubleTree is a beautiful resort for any event. We have worked weddings there, and the facilities are beautiful. Everyone knows what they are doing, they treat you well. As filmmakers, we love the open glass roof in the Palm Court for letting in lots of natural light during afternoon/evening weddings. 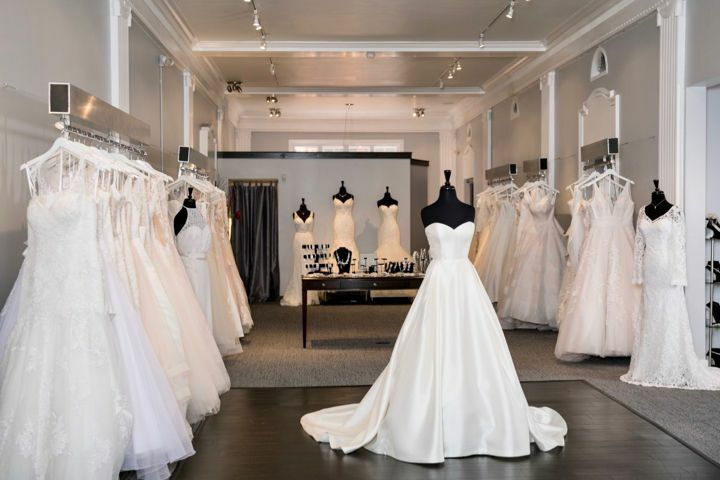 We highly recommend this if you are looking for a lovely setting in Lancaster County! Some of the best people I have ever had the pleasure of working with! 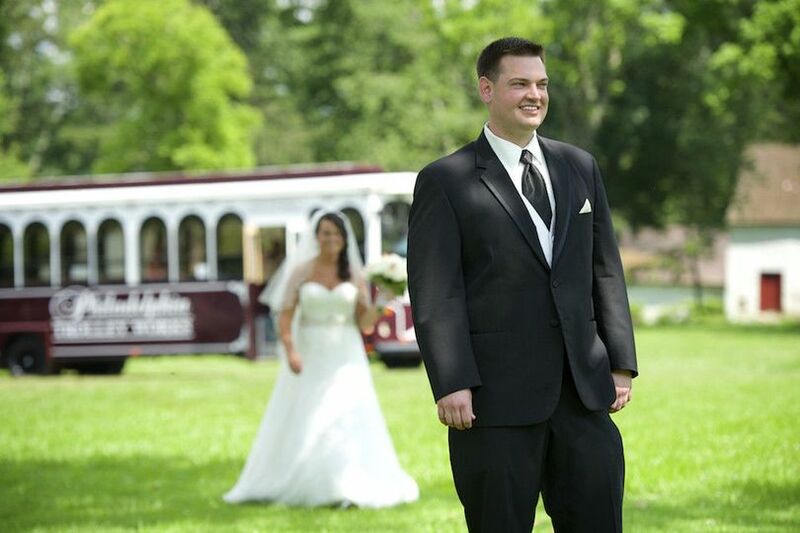 I recommend Willow Valley to all of my customers in need of the perfect venue.